As part of BNP Paribas’ worldwide commitment to tennis, the Bank is a major sponsor of events in the US including professional tournaments, exhibition events and goodwill initiatives. 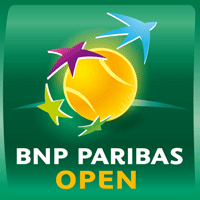 Since 2009, BNP Paribas has been the title sponsor of the BNP Paribas Open in Indian Wells, California. The BNP Paribas Open is the largest and most well-attended tennis tournament in the world outside of the Grand Slams. The US is also a regular host country for the Fed Cup by BNP Paribas.